Vincent Zorn is Charlottesville, Virginia based Rumba Flamenco guitarist available to perform weddings, private & corporate events in Charlottesville, Washington DC, Los Angeles, Santa Barbara, and beyond. 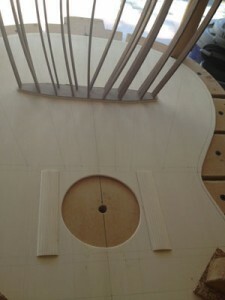 Perfect guitar music music for weddings, wedding ceremonies, cocktail hours, receptions, anniversaries, corporate & private events, wineries, breweries, fund raisers, wine tastings, or any special occasion. 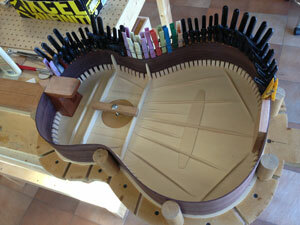 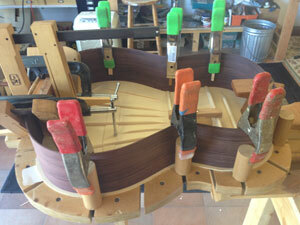 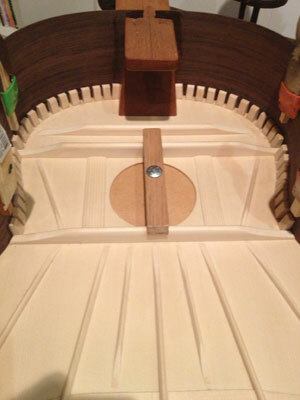 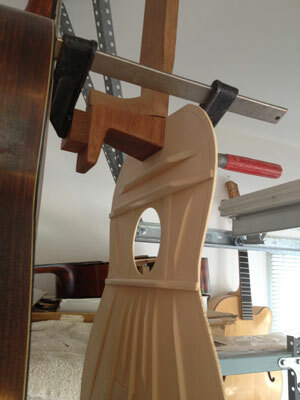 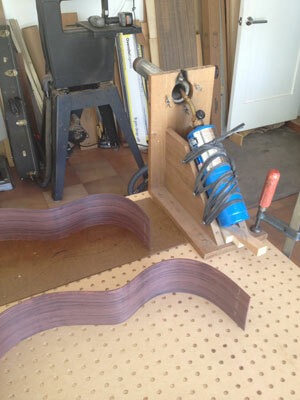 Finally, after the weather decided to work with us, we glued the bracing on the soundboard. Pretty amazing experience preparing the thickness of the braces with the flexibility of the soundboard. Of course, all this is a new experience and all bets are that it would not have gone so smoothly without Han’s experienced hands and knowledge. 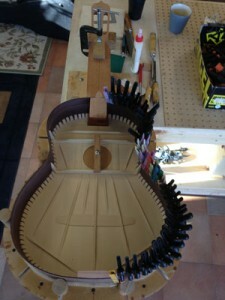 The sides were bent using a bending machine that Han’s built. 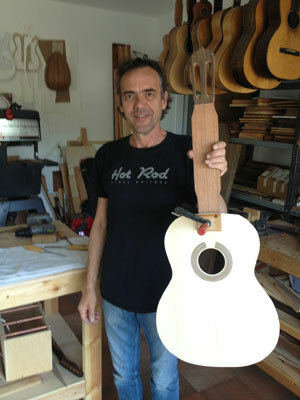 Yes, he even builds the machines that builds the guitars. The sides are first wet with water then placed in the bending machine. 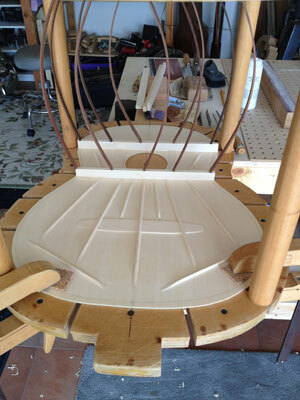 The heated machine then bends and molds the shape of the sides. 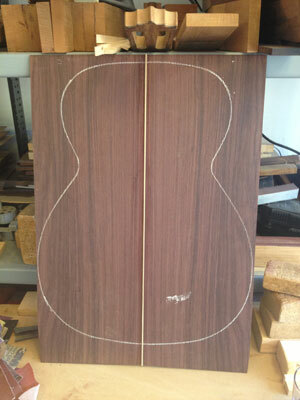 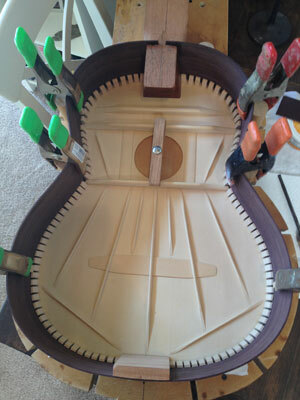 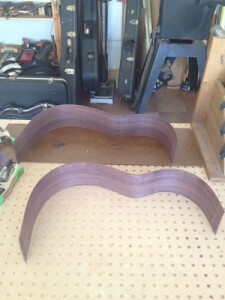 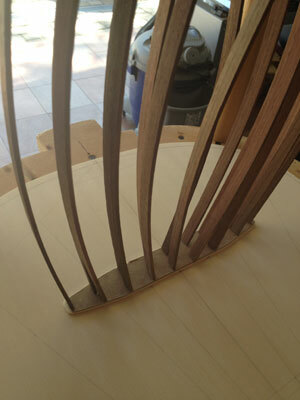 Each side takes almost two hours to complete, and the shape is not perfect as the wood “springs back” a bit. 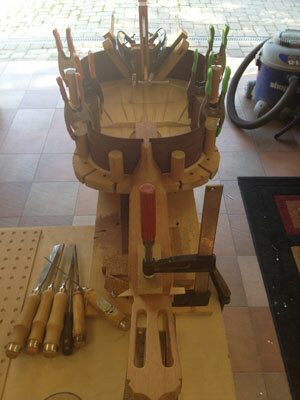 Final adjustment is done on a hot pipe by hand. 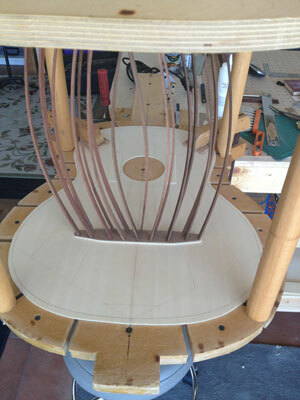 Now that the sides are bent to shape, the neck is attached to the top, it is time to attach the sides. The sides are slid into the slotted heel and formed to the heel block. 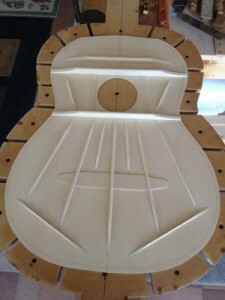 Definitely looks like a guitar now. 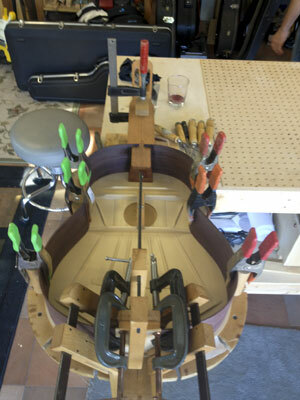 Glued the back pieces together with a tasteful simple back strip. 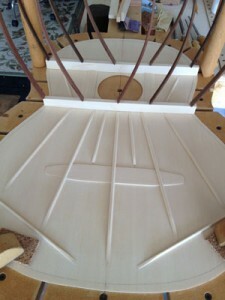 Tentellones are simple blocks of spruce, cut by hand and glued individually to attach the top to the sides. It is a long process and by the time you actually get the hang of it, the job is done. Time to build my next guitar! 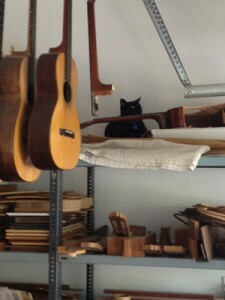 Jack is Han’s shop mate and best buddy. 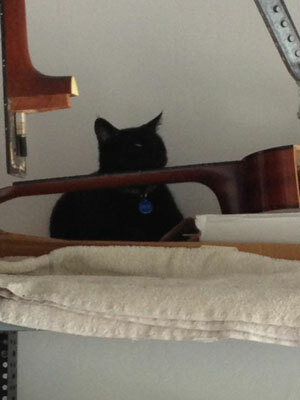 Total guitar Cat – even sleeps with his head rested on one. Vincent Zorn is a Santa Barbara, California Flamenco guitarist available to perform in Santa Barbara, Santa Ynez, Montecito, San Luis Obispo, Ventura, and Los Angeles counties and beyond for wedding ceremonies, cocktail hours and receptions, anniversaries, corporate and private events, fund raisers, wine tastings, or any special occasion.